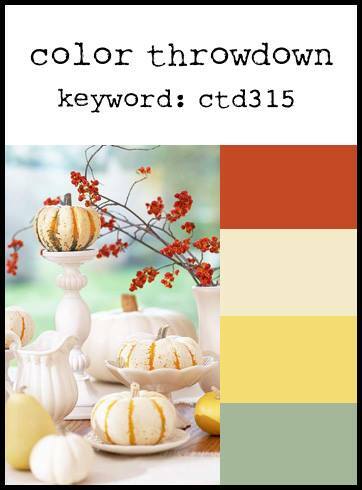 The Color Throwdown challenge for the week is here. Even though I am away from my crafting studio this week, I am NOT away from my computer....so I am able to still enter the challenge. I made a digital layout using the hues in this week's color palette. Here is a look at this week's colors. Aren't they just so beautiful? The pictures in my layout are some of my favorites. They were taken this summer at a nature preserve on South Padre Island. I love the way the light affected the photos and gave them a soft grey wash. I hope you will play along with this week's challenge. This is the very first day....so you have plenty of time to make something fun. And remember, you don't have to have the exact colors. They always tell us to just use the closest match you have. So have fun with this one! 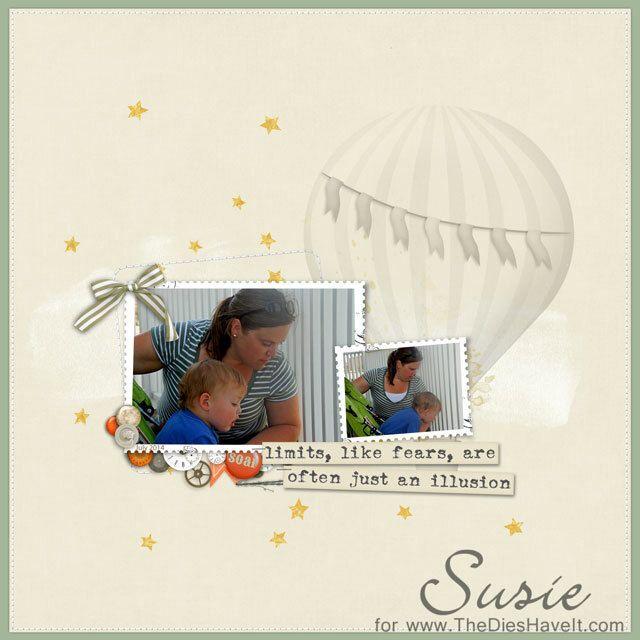 What a gorgeous page, Susie....I love the layout and how you used the balloon and stars in the background!!! Thanks for playing along with us at the Color Throwdown!!! What a gorgeous layout Susie! I LOVE all the white space and that fun hot air balloon! Thanks for joining us at The Color Throwdown!